The crew of the Bristow EC-225 Super Puma aircraft requested assistance from police, fire and ambulance teams as it travelled back from a North Sea oil rig to Dyce. The issue with the helicopter – which had been due to land around 10.05am – is not yet known. A Bristow spokeswoman confirmed that one of its Airbus EC-225 helicopters had put out a “pan call” while returning from an offshore installation. The alarm is one level below a mayday alert which allows for a priority landing and an emergency service response. “The helicopter, which had 19 passengers and two crew on board at the time, landed safely at approximately 10.15am,” said the spokeswoman. “The landing itself was uneventful. She added there had been “no risk” to the crew at any stage. Bristow engineers were still investigating the cause of the fault last night. 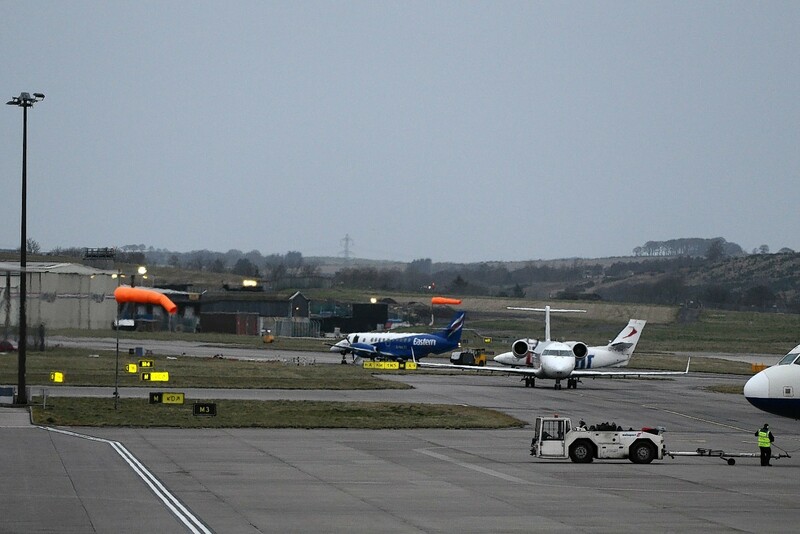 A police spokeswoman said: “The police were made aware of concerns for a helicopter coming in to Aberdeen airport. It landed safely at 10.10am. Three fire appliances – from North Anderson Drive, Dyce and Aberdeen Central – were called to the scene. The incident happened exactly a week after emergency crews were called to the airport when a warning light came on in another EC-225 Super Puma which was being operated CHC Helicopters. The crew of the aircraft noticed something was wrong shortly after take-off from Aberdeen and headed back to land.